During tough times, you should not be spending more money than how much you actually need to. However, if you are unable to do so, we have made up a list of top 10 ways to save more money without needing to work for more money. These tips are easy, simple and absolutely doable. If you have employed one or more individuals at your workplace, why not start working on your own and save money. By hiring individuals, you in fact lock down your money. You can save the money by working by yourself and keep the money that you otherwise had to pay to the individual(s) employed. A lot of us spend huge sums of money on purchasing monthly grocery and food items. If you really care about lowering down your bills, you should simply take a look at your grocery list and analyze the food products that you buy unnecessarily. The best way to cut down is to rule out all such food products that you do not actually need. For instance, you can purchase more locally grown fruits and vegetables instead of purchasing meat and high-fat dairy products. Switch to a more nutritious, cheaper and healthier diet. Cell phone bills make up a considerable amount of our total expenses, so why not cut them down to save more? Although, your cell phone company will keep on offering you different packages such as text messages, data plans and several other “value-added” items. They do this to keep you engaged with their services so they don’t lose you as a customer. Draw up a chart of your total monthly expenses and evaluate the expenses that you could have easily avoided. We all have a list of such items that could have saved us a lot of our money. Spend lesser amount of money in terms of bills, groceries, subscriptions, fuel, entertainment, etc. Classify your needs and wants so you spend less and save more. This is one of the most effective money savings methods. If you are already incurring high energy costs, or other bills, you can straightaway ask your providers if they have deals to offer. In such a case, you can cut down cost on gas bills, electricity bills, internet packages, household, insurance, newspaper and magazine subscription, and even on trash disposal expenses. This is a wonderful tool for people who are looking to scale down their expense schedule. Craigslist is a well-maintained website that is developed mainly for economy that is going back to basics. Consumers who are looking for ways to get more money can divest their belongings they no more need, whereas those who want to spend less money can get hold of those belongings. A lot of people ignore the chances of saving more money through availing discounts and coupons codes. Buying large stocks of everyday household items, and grocery and other likely goods can actually save you lots of money in the long run. Items that have a long shelf life can be bought in bulk to save money. Going organic can save you lots of money very easily. Locally grown fruits and vegetables and other edible food products are healthier and cheaper options. On the other hand, branded goods can be easily substituted with organic products. By taking the local route, you also contribute to the betterment of your economy. Insurance policies actually take up a lot of your money. 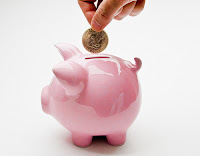 You can definitely save your money up to a great extent by reevaluating your insurance policy. For example, maternity insurance should be cast off if there’s no need of it any longer. Similarly, other unnecessary medical insurance should be removed as well. Paying off your outstanding debts will help you save lots of money that otherwise goes into paying the interest costs that keep on accumulating. This is the best financial management advice you could take benefit of. Not paying back outstanding debts just to retain back more money increases the total cost of financing. The average credit card debt of an American family is $2,200. It is not a difficult task to save more money by cutting down costs. To increase your savings, you just need to reevaluate the other expenses that can be avoided. The key to increased savings lies in differentiating between your needs and wants. AJ is a financial advisor and writes for several online magazines. She also writes a weekly blog on various financial issues that people face in their everyday lives. She personally suggests that If you are looking for free debt consolidation, Consolidated Credit can help you in the best way.